Resource > Blu-ray > How to Watch 3D Blu-Ray Movies on Gear VR? Summary: This article lists the file formats supported by Gear VR, and two best 3D Blu-ray to Gear VR converters to help you rip Blu-ray to Gear VR easily. The Samsung Gear VR is an Oculus-powered device that is cheap and affordable and transforms any of your Galaxy devices into a portable VR device that lets you experience decent immersive experience anytime and anywhere. It is a wireless headgear that can be worn on the head and comes with a controller for controlling options like a mouse but in the 3D. It allows you to watch 3D content, play interactive 3D games using the headset. This comes with content created by the Oculus App that offers the very great quality of 3D content built for the system. However, in order to allow your already accumulated 3D content from Blu-ray discs that you might have with you, to be able to watch on the Gear VR, a little preparation is needed. The preparation includes converting the 3D files that are, you need to convert Blu-rays to Gear VR capable format so that the Gear VR can play it allowing you to watch your movies more conveniently. This needs a little bit of work though because you cannot straightaway copy the movies and play them through the Galaxy device. The first thing is you must have a Galaxy device, whether a Note or smart phone from Samsung that is compatible with Gear VR and the Gear VR, of course. Then, you need to a have a file conversion which does 3D Blu-ray to Samsung's Gear VR software with you. Then, you can watch 3D Blu-ray in Gear VR without any issues. The file format followed by the Gear VR system consists of all default file types like MKV, FLV, MP4, AVI in the 3D type that consists of a combination of videos playing either in the top-down fashion of left-right fashion. When it comes to playing these simple videos in 3D, you have to convert Blu-rays to Gear VR file type that arranges them side-by-side or top-down style from the default type in which they are originally arranged. These files in 3D Blu-ray discs are arranged in stacks or also called “frame packed” format. Thus, the way to achieve this new format is to use a software like DVDFab Blu-ray Ripper to rip the Blu-ray disc, choose an appropriate 3D MP4, 3D AVI file type as output and convert it to that type using the converter. In other words, it has to be converted from a frame packed, stacked format to an SBS or TD type. The SBS stands for side-by-side and TD stands for top-down formatting. The formatting is very essential so that you can watch 3D Blu-ray in Gear VR using any 3D content that you already own from your old Blu-ray discs of movies, or new collections of movies blockbusters, TV shows, any type of documentaries, content that you download from the internet or so on. There are huge benefits in terms of having content available for watching on a VR for a very decent immersive experience with your friends and family. There is also other software like Leawo Blu-ray Ripper, which is a program with separate versions for Windows and Mac, which allows you to convert Blu-rays to Gear VR format with inbuilt presets. So, it is just a 3-step process to get the files ready to go. You shall also need a MicroSD card to store the files and transfer it to the Galaxy device. This Galaxy device is put on the Gear VR that plays the media for viewing on the VR device. This is a tool that is available for all major operating systems starting with Windows 10, Mac and Linux Ubuntu 16 and above versions. 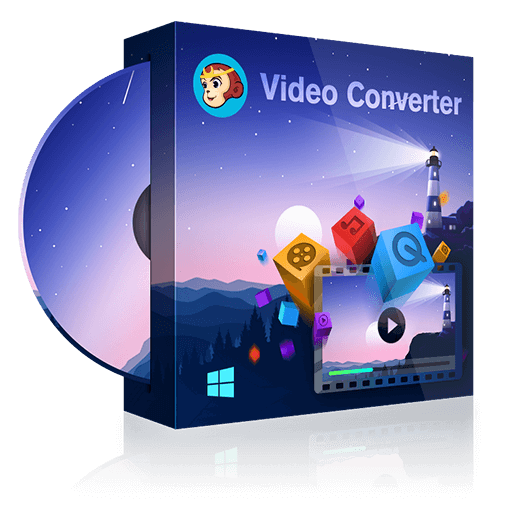 It is a versatile program that can be used on any machine, therefore, as a complete video/audio converter tool and ripper tool. It comes with all the latest technologies starting with batch-processing with multi-core support, Intel Quick Sync and NVIDIA CUDA for GPU processing abilities that improve the speed of ripping huge Bu-ray discs of size 50GB in the fastest way possible. The launcher allows you to add Blu-ray files using drag and drop or browser, it allows you also to preview them using a real-time video editor that supports editing them too, select tracks, titles that you wish to rip, and then finally choose from many audio video file formats to begin the ripping process. There are many output file types such as 3D AVI, 3D MP4 and so on, and all of them are compatible with Gear VR, as mentioned above. Thus, it allows you to convert Blu-rays to Gear VR type in the fastest way possible in the market today. This is another program that is available free of cost for both Windows and Mac users and even has a paid version alongside. It also allows you to upload media files from your Blu-ray discs, edit, choose an output file type for ripping process, and click on convert. You can then transfer these videos to your MicroSD card. It is simply superb offering 180+ output formats, 6Xspeed, and worth having thing.